No Credit Check Credit Card: Need to Avoid a Credit Check? No Problem! Need to avoid a credit check? No problem. A no credit check credit card gives you the opportunity to show your creditworthiness and get back on the road to good credit. Rebuilding credit is difficult when only negative information is being reporting to the three major credit bureaus. Credit reports can benefit from a no credit check credit card by adding positive reporting information. It doesn’t matter where your current credit scores range, they are not set in stone. 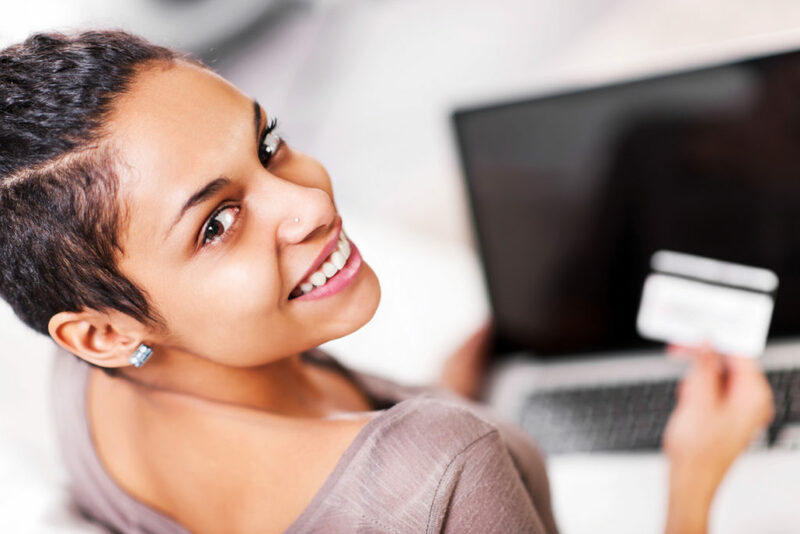 With a no credit check credit card you can get your credit back on track. A no credit check visa like the OpenSky Visa credit card will help re-establish a positive payment history with on-time payments. You’ll only rebuild credit if you make all payments on-time. NO. The OpenSky Secured Visa credit card is a real no credit check credit card. As you know, getting approved for a new credit card isn’t easy. Even most popular credit card issuers (like Chase, Capital One, American Express, Citi and Discover) generally don’t make it easy to get a secured line of credit when you have a damaged credit history. The OpenSky Secured Visa doesn’t require a credit check for approval. It’s a true no credit check credit card as long as you have the funds to deposit. The cash deposit is collateral and serves as your actual credit limit. That deposit provides the credit card issuer with a safety net, should you default. The refundable deposit you provide becomes your credit line limit on your Visa card. Choose it yourself, from as low as $200 up to $3,000. Not only is no credit check required, a checking account is not required either. It doesn’t get much easier than this to qualify for a real Visa credit card that is accepted worldwide, wherever you see the Visa logo. Hard credit inquiries can deduct up to 10 points from your credit scores. A no credit check credit card is a good way to avoid too many credit inquiries when rebuilding your credit. You want to keep credit inquiries off your credit report, as they can lower your score. The OpenSky Secured Visa credit card does not pull a hard inquiry on your credit — your scores will not take a hit to open this card. The OpenSky Secured Visa Credit Card is a no credit check that helps you build credit quickly. OpenSky reports monthly to Experian, Equifax and Transunion. Your credit limit will be based on your security deposit. If your deposit is $500, your limit will be $500. Secured credit cards are a good point of re-entry into the credit world for consumers with damaged credit. When you get a starter line of credit a positive payment history can be re-established in your credit files. As long as you make all payments on-time, no matter the amount you deposit for your credit line, you’ll rebuild your credit history. Even with secured credit cards you must never miss a payment. Secured credit card issuers will report payment history to credit bureaus just like unsecured credit cards. One late payment on a secured credit card will pummel a credit score plus remain on credit reports for 7 years. How Long Will it Take to Rebuild My Credit? There are no guarantees but people adding this credit card to their files have reported a boost to their credit scores by 30 to 40 points in a matter of months. Some have even reported an immediate boost in scores when the new credit line first reports. Keep the amount of debt you’re carrying ideally below 10% but definitely no more 30% of the available credit limit. For example if your credit limit is $600, do not allow more than $180 to report to the credit bureaus. Grace Period. The OpenSky Secured Visa has a 25-day grace period. A credit card grace period is the period of time between the end of a billing cycle and the date your payment is due. During the grace period you will not be charged interest as long as you pay your balance in full by the payment due date. APR Rates and Fees. The APR on the OpenSky Visa Secured Card is 19.64 percent. APR is the annual percentage rate. This is how most credit cards typically state their interest rates. On most cards, you can avoid paying interest on purchases if you pay your balance in full each month by the due date. APR for cash advances is also 19.64 percent. The transaction fee for a cash advance is 5 percent. Interest on cash advances kicks in as soon as the transaction hits your account. Late Payment Fee: Since you are rebuilding you’ll NEVER pay late but just for your information the APR rises to 21.75 percent if you make a late payment. The late fee is $38. Set up auto pay to avoid late payments, that way at least the minimum amount due will always be on-time. Remember late payments get reported to the credit bureaus once your account becomes 30 days past due. Annual fee: The annual fee is $35. According to 2015 data from NerdWallet, the average annual fee is $58, based on a survey of over 2,200 cards. OpenSky’s annual fee is pretty good in comparison. Foreign transaction fees: It’s 3 percent, which is within the normal range. Credit Limit Increase. The OpenSky Secured Visa card does not graduate to an unsecured card. But users of this card have reported small credit line increases ($100) without having to deposit additional funds as collateral. If you want to ensure a higher credit limit, you’ll have to call and request it. If it’s approved, you’ll be given instructions for sending the additional deposit. Security Deposit: A minimum of $200 and a maximum of $3,000. No Checking Account Required. The OpenSky Secured Visa credit card does not require a checking account. You have the option to fund your account with a money order. But you should have at least a checking account. You want to show stability even if you have to open an online checking account for bad credit when rebuilding your credit. At the end of the day the OpenSky Secured Visa Card is a good credit card to rebuild credit, especially if you have a lot of negative items on your credit report. A no credit check credit card is really a good choice for someone who has a recent bankruptcy. The best way to apply for this card is online. No matter where you’re starting in the process to improve credit scores, don’t get discouraged. Building good credit in the long-term involves paying your bills on time, keeping your debt balances low and adding a mix of new credit accounts as you can afford them. The OpenSky Secured Visa can get you back on the road to good credit.